I have created two basemap layers in mapbox. I am using basemap 1 in a main map in group 1 with my data layer. I am using basemap 2 in an inset map in group 2. The two maps appear in the composer correctly and are refreshed/locked. But, once I export the map to pdf, the labels in both maps revert to whatever is in the dataframe view of arcgis. As a workaround, I exported the inset as an image and added it to the composer as a static image. Please see the images of the data view, composer, and exported pdf below. Browse other questions tagged print-composer qgis-2.18 mapbox-studio or ask your own question. 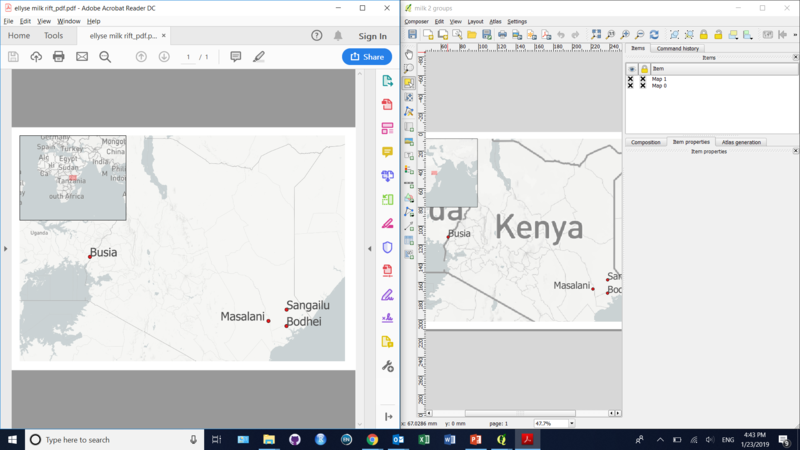 How to add a large inset svg or pdf in QGIS 2.3 print composer? 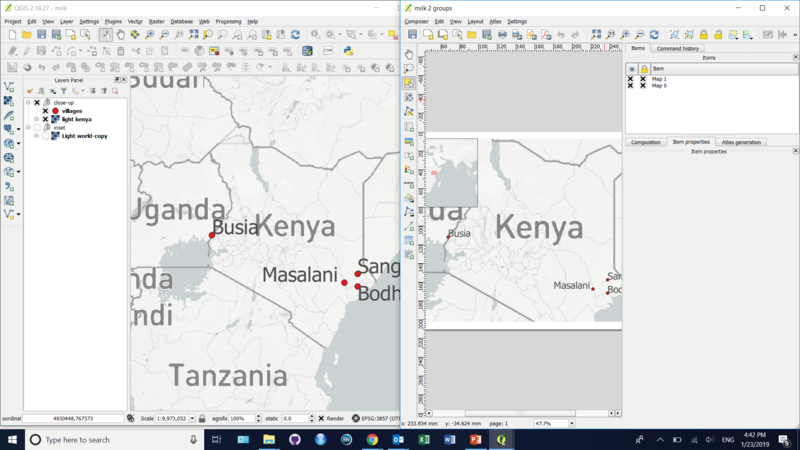 Exporting to PDF from print composer in QGIS with two maps on layout? How can I ensure the image exported from Print Composer is accurate? Layers not locking and exporting incorrect maps in QGIS composer? Exporting map from composer in QGIS - text labels have moved in output? WMTS Error when adding Mapbox Layer to QGIS: Failed to download capabilities?